Tim Ferriss became famous (and wealthy) after publishing the book The 4-Hour Workweek. The book became a bestseller despite the fact that over 25 publishers had rejected it. He has since then published two more books with the same theme: The 4-Hour Body and The 4-Hour Chef. These later books were as successful as The 4-Hour Workweek, so I thought it was a good idea to investigate what Tim Ferris marketing tactics were. While the typical US nonfiction book sells fewer than 250 copies per year, and under 3000 copies in its lifetime, Tim Ferris sells a considerable amount of more copies. I've published my own book called The Engineer which is a biography on the entrepreneur Elon Musk, so I can hopefully use some of the same marketing hacks. 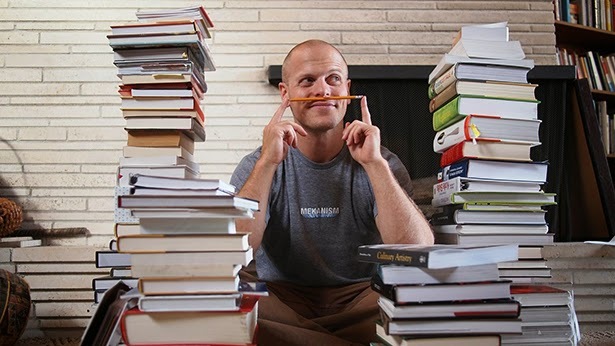 When Tim Ferriss wanted to publish The 4-Hour Chef, he realized that 700 bookstore boycotted his book because he published it through Amazon. This was not a good start. So what he did was to begin marketing the book as an online startup. Most other authors spend two year of their lives writing a book and then they release it and sell their 250 copies of it each year - and that wasn't good enough to Tim Ferriss. Source: BitTorrent, The Random Show, Firepole Marketing, 12 Lessons Learned While Marketing "The 4-Hour Body"